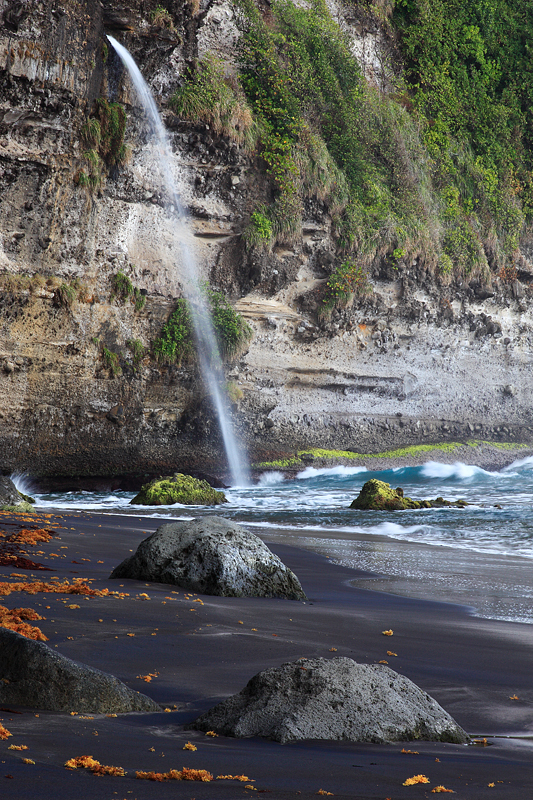 A black sand beach in Dominica with a waterfall cascading from the jungle above. I had to work for this one with a climb down the wet cliffs. At one point I was 50 feet in the air resting on a cocoa tree branch with thirty pounds of camera gear on my back looking down onto the crashing surf thinking, "ok, this is nuts." But the sand was glorious and empty with an irresistible waterfall cascading from the rainforest above.